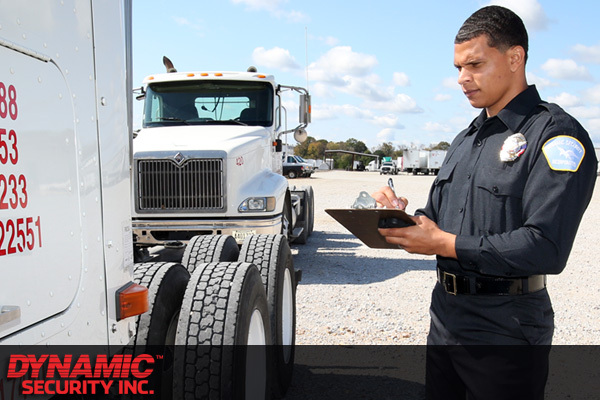 Dynamic Security, Inc., as a leader in the provision of quality Contract Security, serves every facet of the industry from municipalities in the Great Lakes to the Department of Defense on the Gulf Coast and from heavy industrial facilities near the eastern seaboard to retail environments in the mid-west. While Dynamic prides itself on three quarters of a century providing such service and occupies a place of distinction as one of the Top Ranking domestic Contract Security Providers, The Dynamic Approach is about customizing our deployment to fulfill the expectations of your business and focusing our entire Team on shaping our service to that goal. The Dynamic Approach begins by forming strong lines of communication with our client contact, ensuring an understanding of our valued client’s objectives, turning those goals into a regimen of recruitment, training and ongoing multi-layered support. The talent represented in Dynamic Security's management spans a broad spectrum including career Contract Security Leaders, representatives from every division of Military Service, the Federal Bureau of Investigation and Law Enforcement. Each of these Industry Leaders consult with our customer in order to formulate a deployment of Professional Security Officers, customize procedures to fit with your needs and establish firm lines of communication. We take tremendous pride in our ability to recruit, to train, and to retain quality minded security officers and provide unrivaled service. In addition to traditional Security Officers loyally standing the duty post, Dynamic now provides other services which further enhance the resources we utilize in order to ensure superb client support. Our Elite Services division focuses on Clients who have a need for officers who specifically have Law Enforcement or Military experience and require a premium level of training. Other areas of service also include investigations, consulting, and disaster relief. In addition, Dynamic Staffing provides the highest quality staffing services for industrial, clerical, medical, Aerospace Engineering and other professional positions along with human resource services. It is Dynamic's charter to protect the employees, property, and information in and on our Clients' facilities by delivering the highest level of quality service available in the industry today. With a workforce comprised of thousands of employees and numerous offices throughout the United States dedicated to fulfilling the needs of our valued Clients, we at Dynamic Security will tailor our services to the unique requirements of your company, conquering any Security or Personnel issues to cultivate a satisfied customer. Dynamic Security, Inc. is committed not just to providing the best service possible to our clients, we also strive to do business the way we live: responsibly, resourcefully, respectfully. You can read more about our Green Initiatives here.